Hew Head Craftsman Gina Kent whips up progressive cocktails that will please both the ladies and men. Already famed for their unique high tea experience where sweet and savoury items are presented in a leather-clad jewellery drawer, Anti:dote is upping the game with fresh new tipple for when the sun sets. 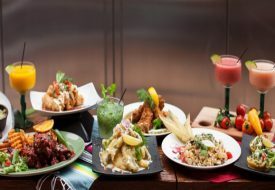 We celebrated midweek with their cocktails and tapas, and left with a unanimous verdict to return with our girlfriends. There’s a feminine flair to the signature cocktails. 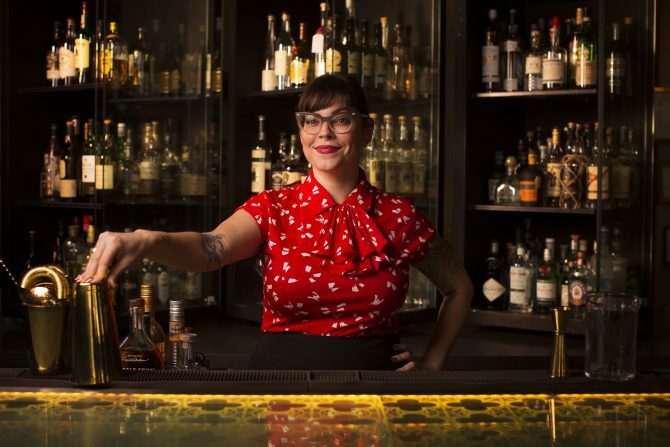 Hailing from Los Angeles, new Head Craftsman Gina Kent is an expert when it comes to whipping up progressive cocktails that will please both the ladies and men. There’s a feminine flair to a couple of her signature cocktails ($23), such as Rappaccini’s Daughter and Modern Woman. The former, is a tequila-based cocktail with homemade violet liqueur, orange bitters, soda and blackberry rosemary shrub — a fruity concoction with a refreshing berry finish. Modern Woman, pays tribute to the independent woman with a potent yet zesty mix of bourbon, lemon juice, cinnamon syrup and pear brandy. 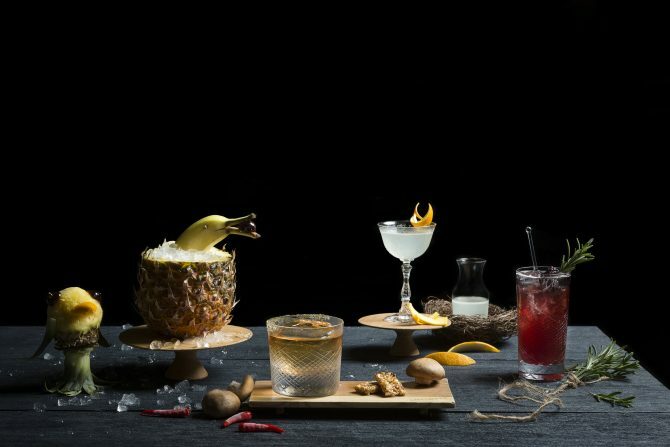 On the whole, the cocktails feature well-balanced flavours without being overtly spirit-forward, making them the perfect nightcap for anyone. Modern tapas that are big on flavours despite being bite-sized and fuss-free to enjoy. The last thing you want on a dressy night out, is getting your outfit stained by messy eats. At Anti:dote, Head Chef Tryson Quek has created a selection of modern tapas that are big on flavours despite being bite-sized and fuss-free to enjoy. We recommend starting your night with a platter of King Crab Skin and Sakura Ebi Rice Crackers, which is served with a squeeze tube of red pepper cream. The crunchy, savoury crackers are easily elevated to the next level with a dollop of the spicy-sweet cream. Another hot favourite is the Cod Fish Croquette, which comes with smoked bottarga cream cheese, black garlic and lemon gel. Ribbons of cucumber on the side helped to cut through the richness of the cod fish, while the cream cheese lent an indulgent touch to the dish. Meat lovers will appreciate the Char-Grilled 65-deg Sous Vide Short Rib. Tender slices of short rib beef are served on a sizzling hotplate, with nicely caramelised onion jam and morsels of pickled pearl onions on the side. The cheese cake comes in the shape of Lego blocks, including one in the shape of a tiny Lego figurine! What’s a memorable night out without some drama? And we don’t mean the sort that might ruin a friendship. At Anti:dote, plating is key to creating the theatrics. For instance, the Burnt Corn Taco is Chef Tyson’s take on the classic Mexican taco, except his rendition comes in tiny portions. 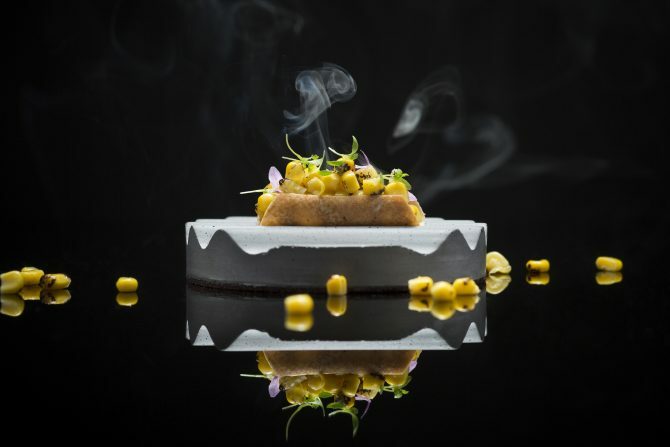 Filled with smoked ricotta cheese and charred corn, the tacos are served on a miniature grill as aromatic sandalwood smoke billows around it in a dramatic manner. Another equally Instagrammable moment goes to the Pineapple Cheesecake dessert. 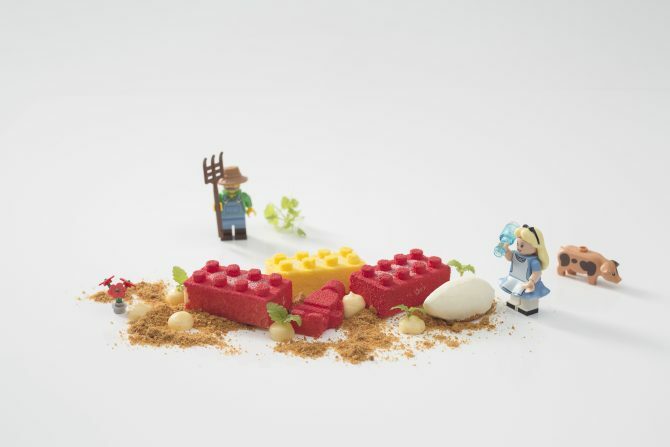 The cheese cake comes in the shape of Lego blocks, including one in the shape of a tiny Lego figurine! All of that is surrounded by tangy, textural elements like yuzu gel, ginger soil and a quenelle of Hokkaido milk ice cream. With an elegant set up, as well as quality tipple and tapas to boot, Anti:dote looks set to be the cure for any midweek blues.